Born in the Oberlausitz, in Löbau, Ria Blum was drawn to distant places already early on. In 2003 she moved with her family to the Dominican Republic where she worked for the American estate agent chain Coldwell Banker. Although she really enjoyed living there, the trained industrial management assistant realised after a while that she would not live there in the long term. A friend told her how nice Mallorca was– Ria wasn’t familiar with the island but spontaneously booked a flight and immediately fell in love with the charming Mediterranean island. In 2008 it became clear for her: “I’ll always stay here”, and she moved from the Caribbean to the Mediterranean. After an intensive year spent learning about the island and its people with a major tour operator, she returned to her original field of work – the property business – in 2009. In 2010 she came to Porta Mallorquina and, in 2011, took over the franchise license for the Palma sales region. In May 2013 she opened her office in the Calle Conquistador. 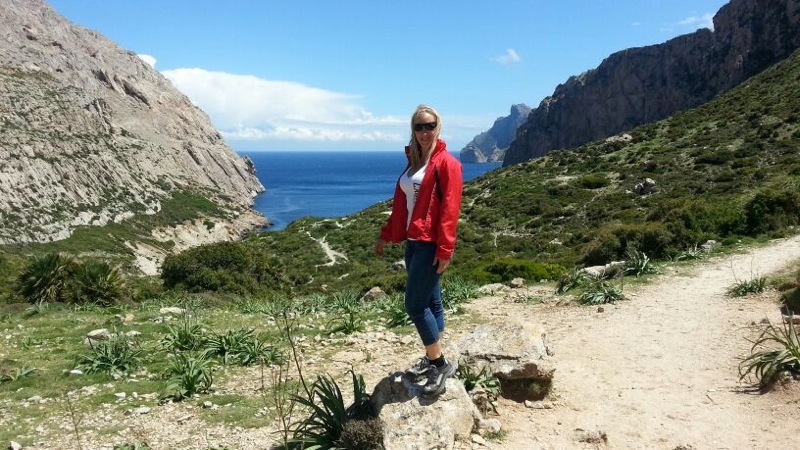 Ria loves the beach and she appreciates the wide range of sports available on Mallorca. 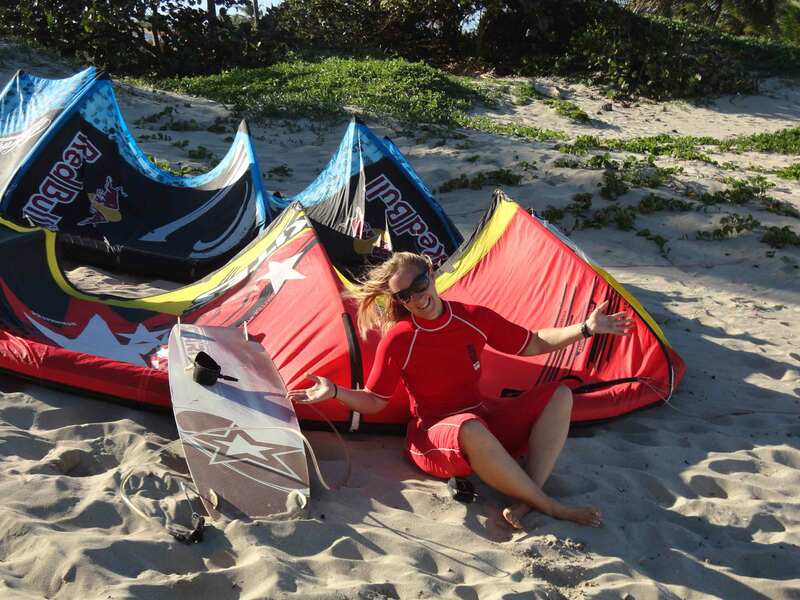 Walking, cycling, inline skating and kite surfing offer the sports enthusiast an ideal work-life balance. Ria, what do you particularly like about Mallorca? The good weather, the fascinating landscape, the great beaches, the lively multi-cultural society … in other words, Mallorca is simply the nicest island in the world! Which place do you show visitors to Mallorca first? The old town of Palma, then we would walk along the Paseo Maritimo to the former fishing village Portitxol where we would swim, snorkel or just relax in the Nassau Beach Club and all this is not far from the centre! Your favourite restaurant on Mallorca? I love tapas and “Tast” in the Calle Union has the best in Palma. And your favourite place in Palma? The Park Bellver, a forest area in the centre of Palma. I like going jogging here. a dream and a real privilege. … I am very happy and thankful that I am able to live and work here.